Pokémon, originally conceived and released as a video game, has been around for more than two decades and has spawned an entire Pokémon universe consisting of animated TV series, movie series, Pokémon toys and merchandise, and commands a huge fan base across the world. The Pokémon characters are quite popular among children and adults alike. It comes as no surprise that a real life Pokémon game called Pokémon Go, took the world by storm when it was released a couple of years ago. Here we look at the ten best Pokémon toys out there in the market. We include some top Pokémon like the Pikachu and the Gyarados which your little Pokémon fan would be familiar with. Some of the toys are very popular Pokémon toys for kids, but you needn’t lose heart if you are a grown up, there’s still a lot to choose from. These Pokémon toys would also make for best Pokémon gifts for any Pokémon lover. So read ahead to find out which are the best toys from the most popular Pokémon list. The Pokémon Pikachu 3D LED Table Desk Lamp is the top Pokémon toy on our list and the best overall. 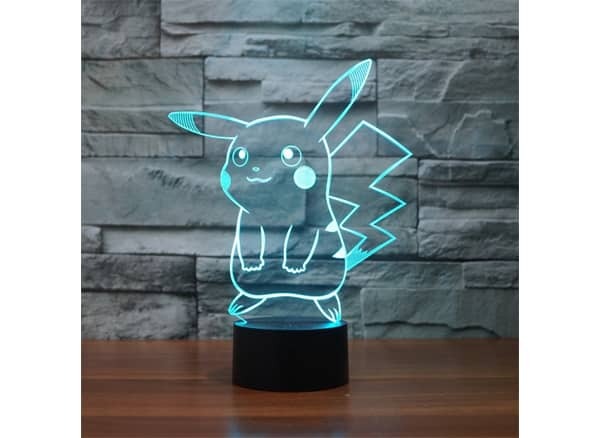 The most popular Pokémon and the mascot of the Pokémon franchise, the Pikachu, is adapted in the form a night light LED lamp, and stays true to the characteristic of Pikachu as an electric type Pokémon. When lit up, this lamp creates an optical illusion by which you see a 3D form of Pikachu glowing in soft light. This 3D visual creative lamp Pokémon toy can be used as piece of home décor for lending artistic beauty to the atmosphere and create a 3D visual impact. At the press of a button, you can switch between 7 light colour options for different effect. Weighing at 8 ounces, this lamp has been designed to last for 10000 hours. See more information on Pokémon Pikachu 3D LED Night Light. Based on Pikachu, the mascot of the Pokémon franchise. Optical illusion to create a 3 D image. 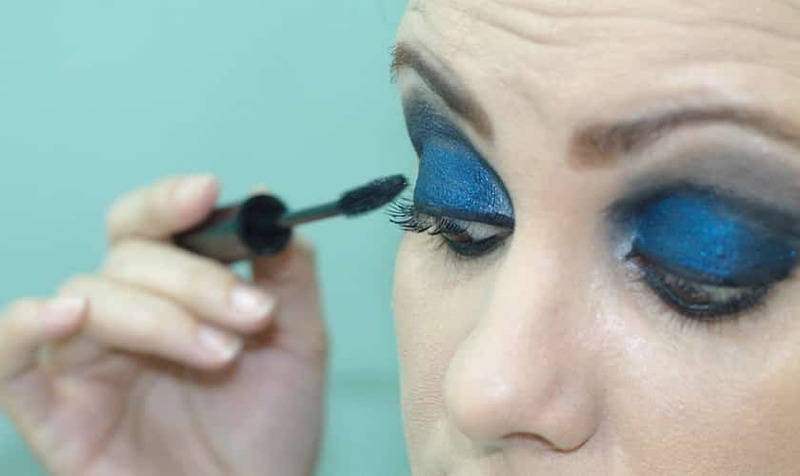 Option to switch between 7 colours. If you are a Pokémon fan, it can’t get better than this. Pokémon Pikachu 3D LED Night Light with the Pikachu looking over you in its soft glow, while you are peacefully asleep; that in itself is an exciting thought to get your hands on this one. With its seven light colour options and 3D visual form, this Pokémon toy would be a real visual treat and with a lifespan of 10000 hours, you can be sure, this Pokémon character will be by your side night after night as you journey through your dreams. One of the most popular Pokémon characters, the Gyarados is known for its violent temper and appetite for destroying its enemies. 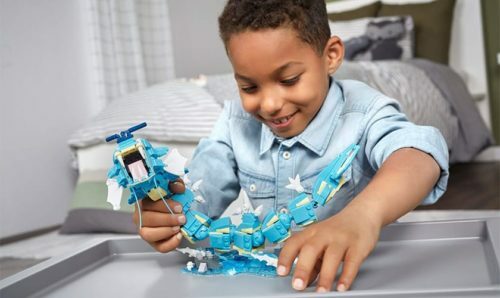 With the Mega Construx Pokémon Gyarados toy, you can bring this pocket monster home. Sporting a fearsome aggressive stance and 9 inches length, this mega Pokémon toy is high on impact and has a fully articulated body for providing that ultimate pose. Coming in 352 pieces, your little one can start building this giant from scratch and have great fun all along. This toy comes with a buildable ultra-ball accessory and comes with a water environment that will also serve as a stand for this water dragon. This toy is suitable for kids from 8 to 12 years. 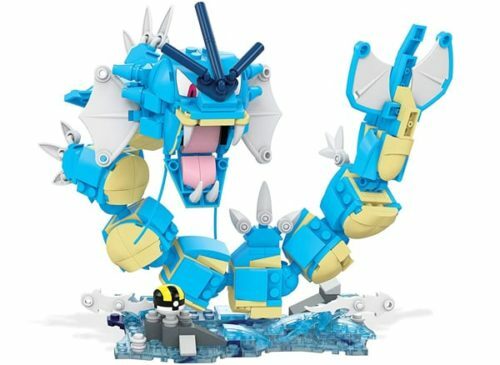 See more information on Mega Construx Pokémon Gyarados. Buildable 352 pieces Gyarados Pokémon toy. Water environment and Ultra Ball accessory. The Mega Construx Pokémon Gyarados toy is the best premium on our list. Once you have built it using the pieces, this popular Pokémon toy will instantly please your eyes with its impressive articulated design. The fins, fangs and scales of the Gyarados all stand out in detail to give you an action figure which looks an exact replica of the original popular Pokémon character. If you are willing to shell out some extra bucks, there’s no need to think twice, this is one of the best Pokémon toys you can go for. One of the coolest Pokémon toys, the Pokemon Kids’ Digital Watch is the third and the Best Value Pokémon toy in our list. 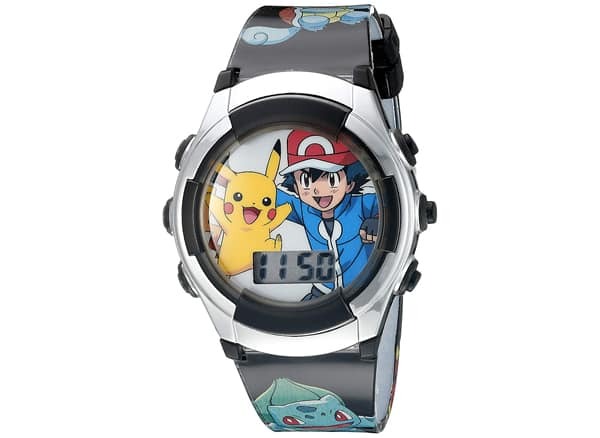 With popular Pokémon characters of Pikachu and Ash on the dial and an LED light that can be switched on with a push of a button, this watch is an absolute delight to wear. 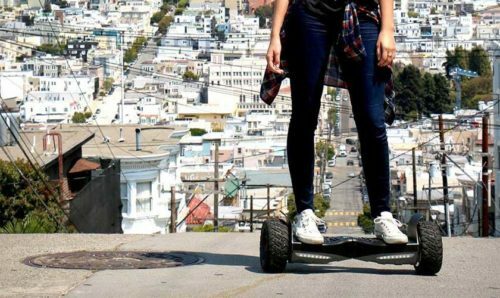 Your kid would totally love to get hold of this toy and not to mention, it shows time too. So the next time you want to check on time, just ask your kids. They would be more than happy to tell you. The material used in the make of this watch is completely non-toxic and safe for children. 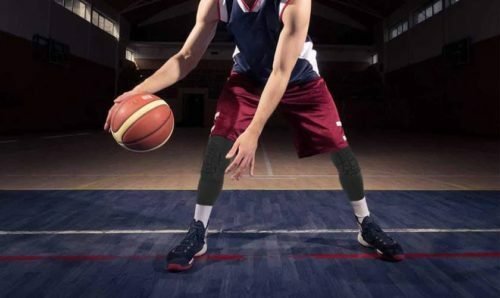 The strap is easy to fasten and adjustable to fit most hands. It is suitable for children 4 years and above. See more information on Pokémon Kids’ Digital Watch. Pikachu and Ash characters on the dial. LED light on the dial. Non-toxic material and safe for children. Coming at a very affordable price, the Kids’ Digital Watch is an awesome Pokémon toy. With a cool design and fun features like LED lights, you can definitely go for this accessory for your kid. This gadget would make for a good Pokémon gift and make the little ones understand the importance of time. 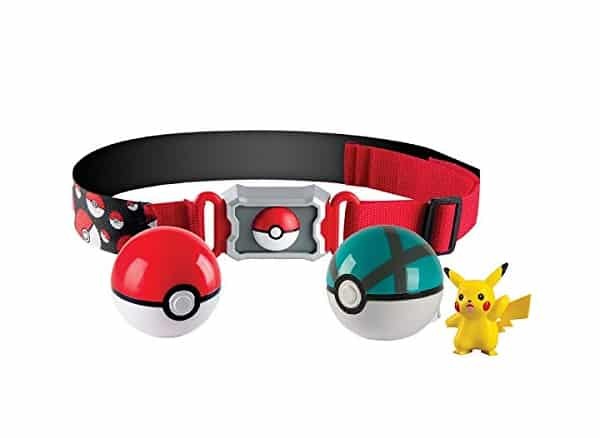 Unleash the Pokémon trainer in your child with the Pokémon Clip N Carry Poké ball belt. This Pokémon toy set consists of an adjustable belt with a Poké ball design, one Poké ball, one Net ball and a small 2 inch Pikachu figure. Armed with these Pokémon trainer toys, the little one would be ever ready to embark on any Pokémon catching expedition. The Poké balls serve to hold Pokémon characters and the belt can hold up to 6 Poké balls. A new addition is the Net ball is specially designed to catch water Pokémon and is highly effective. This toy is suitable for ages 4 and above. See more information on Pokémon Clip ‘N’ Carry Poké Ball Belt. 4-piece Pokémon trainer toy set. Adjustable belt for different waist sizes. This Pokémon toy set is certainly a value for money product and a good addition to your overall Pokémon toy collection. While the Poké balls allow for storing Pokémons, the belt allows you to attach 6 balls. You can just take out Pokémon action figures and Poké balls from your existing toy collection and together with this toy set, you can set out on a Pokémon hunting adventure. While the Pokémon kids’ digital watch was a good toy to teach your kids the value of time, here’s another Pokémon toy that will teach your child the value of money. The Itazura Electronic Coin Money Piggy Bank box is an exciting toy that will double up as piggy bank, in which your kid will happily save his tiny fortune. 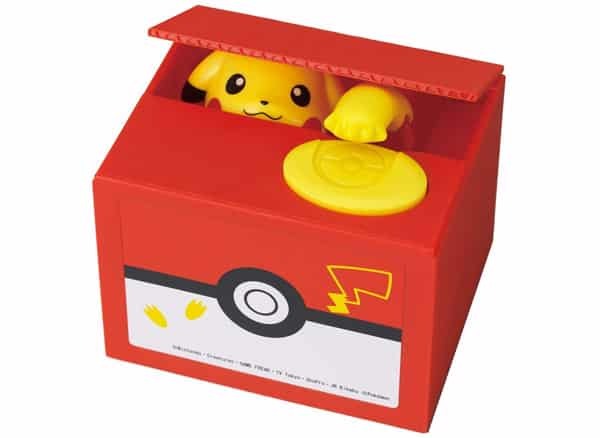 Upon placing a coin top of the box, Pikachu emerges from below making all kinds of funny noises and retreats back to his house taking the coin with him. This whole scene is an absolute fun and your kids will sure love it. The box has a fun design showcasing a Poké ball. This Pokémon toy weighs at close to 14 ounces and is suitable for children 15 and above. See more information on Itazura Electronic Coin Money Piggy Bank Box. Teaches value of money to kids. Comes with popular Pikachu Pokémon character. Good Design and easy to operate. This is one of the best Pokémon toys available in the market. It would definitely make for great Pokémon gift for your child and will teach him the value of money and thrift in life. The toy piggy bank isn’t too heavy on the purse and with some exciting fun features, you can sure go for this awesome Pokémon toy. If you are a Pokémon fan then you would definitely know about Pokémon toy cards. GoldenGroundhogg has come out with Pokemon 100 Common/ Uncommon card lot with additional bonus of 5 Rares, 3 Foils, 1 Holo Rare and 1 Ultra Rare card. Part of Pokémon Trading Game, these are some of the coolest Pokémon cards you can lay your hands on. For kids, this would be a great way to start with their own Pokémon collection, and with so much variety on offer, it will certainly be a fun experience. 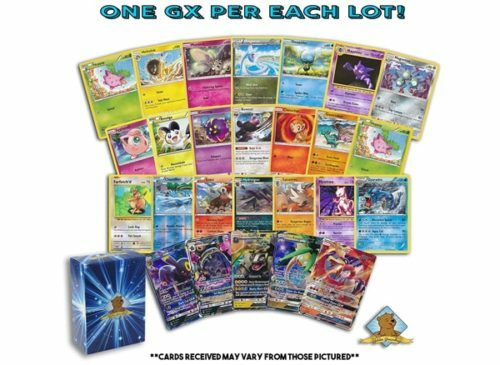 This card lot comes along with a deck box in which to store your Pokémon toy cards. So store them away safely and be sure of never losing them. See more information on Pokemon 100 Card Lot with Bonus. 100 Common/Uncommon Cards with bonus Rares, Foils and Ultra Rare Cards. Great way to start Pokémon toy collection. Deck box to store the cards. The Pokemon 100 Card lot is indeed a good product. The Pokemon toy cards are an integral part of the Pokémon universe and having them in their Pokémon toy collection would be a dream for any kid who is a Pokémon fan. These cards come at a very affordable price and are worth going for. Are you raring for some fun in the jungle? Then the Pokémon Petite Pals Escape in The Forest Playset is the best Pokémon toy that will take you there. It transports you straight into a tree house in the forest where Serena is enjoying with Pikachu, Fennekin and Oshwatt. 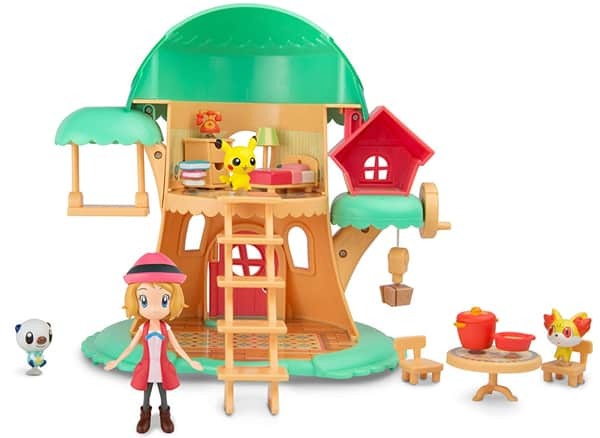 This Pokémon toy set consists of Serena figure and the three popular Pokémon figures and comes with 20 accessory pieces and tree house playset. With these accessory pieces, you can build and decorate the treehouse exactly the way you want it and set up your own home in the jungle. The accessories include miniature suction cups, a swing, an elevator and many others, all of them to make for a relaxing stay in the woods. This toy is suitable for ages 4 and above. See more information on Pokémon Petite Pals Escape in The Forest Playset. Fun and adventure in the jungle. Pokémon figures of Serena, Pikachu, Fennekin and Oshwatt. 20 accessory pieces to customise your own tree house. Bring the Nanoblock Building Blocks Pokémon Gift Set bundle home and enjoy building your popular Pokémon characters from scratch, block by block in great detail. This Pokémon gift set consists of Pikachu (130 pieces), Charmander (120 pieces) and Squirtle (120 pieces). Assemble these individual micro pieces to unravel beautiful Pokémon toy figures and build your own army of miniature Pokémons. The individual block pieces connect securely so you get the sculpture in accurate detail. And grown-ups too can enjoy this construction expedition to build their favourite Pokémons. It is challenging enough to get your brains racking and great for some family time together with the kids. This Pokémon toy set is suitable for 8 years and above. See more information on Nanoblock Building Blocks Gift Set Bundle. Pikachu, Charmander and Squirtle figures. Micro pieces secure firmly for great detailed figures. Good for some family time together. 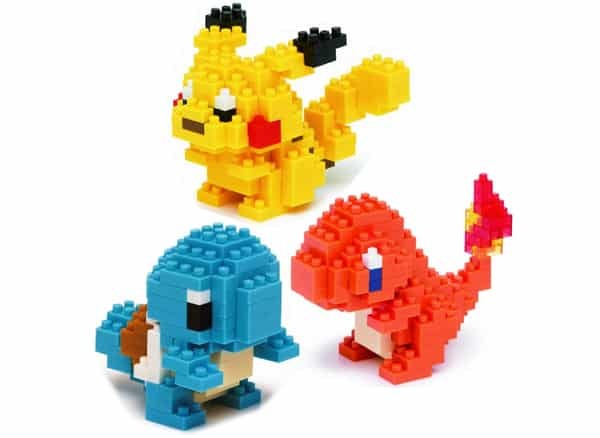 If you love building your own Pokémons and having some fun time with friends or family, then the Nanoblock Building Block Gift Set is perfect Pokémon toy for you. Coming at a premium price, this toy set would also make for great Pokémon gifts for friends and family. Once assembled, the toy figures look great showpieces any occasion. For all the money, this Pokémon toy set is worth going for. Carry your favourite Pokémon to your school where you spend most of your daytime so the fun never ends. The Pokémon 3D Pikachu Backpack School Bag is a utility toy that features a large 3D shaped Pikachu to store Poké ball puff. 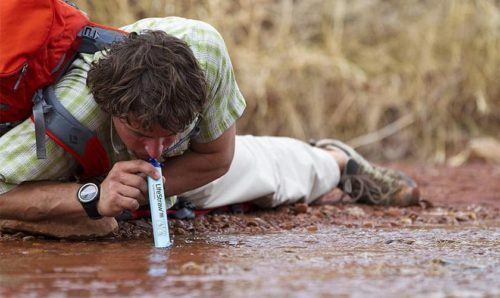 The bag has two storage compartments to carry your stuff, has two pockets on the side for storing your bottles. Measuring 16 inches long, the backpack is a durable and makes for an ideal Pokémon toy for any school going kid. It is fairly new product in the long list of Pokémon merchandise and is suitable for ages 4 and above. See more information on Pokémon 3D Pikachu Backpack School Bag. 3D Pikachu with Poké ball puff storage. Two compartments and two pockets to store your stuff. Ideal Pokémon toy to carry to school. Your child would definitely love to take this Pokémon toy to school and show it off to his friends. 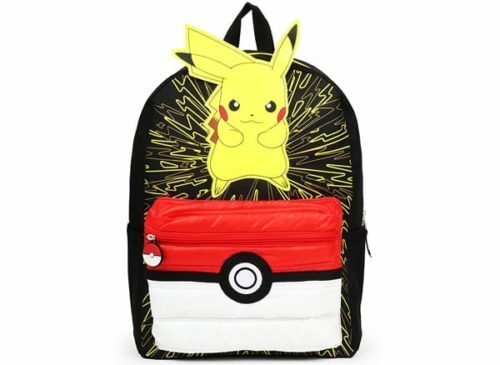 With the most popular Pikachu figure featuring on the backpack, your little one can turn into Ash Ketchum everyday when he makes his way to school carrying the schoolbag on his back. Plus the toy makes provides good functionality to store stuff and doesn’t cost much. Definitely it is one of the best Pokémon toys to go for. We saw in our review how Pokémon toys can help to make your child understand the importance of time and money. Well, how about getting your child to read? 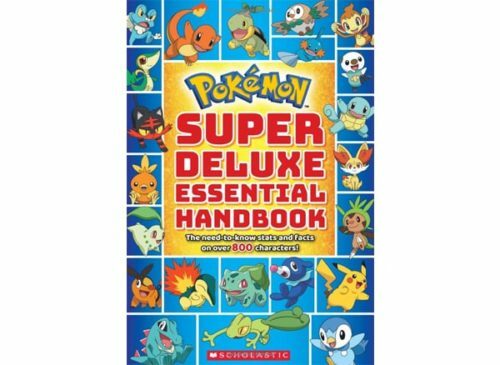 The Super Deluxe Essential Handbook is a good way to initiate your child into the world of Pocket monsters or Pokémon. This handbook contains all the information and facts pertaining to world of Pokémon and your kids would relish reading it. It has 496 multi coloured pages and stats on over 800 Pokémons, all organised in an effective way for a delightful reading session. And why only kids? Parents and adults too would enjoy this book and hope to become the best Pokémon trainers someday. See more information on Super Deluxe Essential Handbook. Complete information and stats on the Pokémon world. Multi Coloured pages for a delightful reading. It is certainly one of the best Pokémon toys and there’s no need of second thoughts to go for this one. It is a storehouse of information and a must read for anyone wanting to make his mark in the Pokémon world. With the information organised in a kid friendly way, if your child gets his hands on this book, he would find it hard to put it down. It is a fun way to initiate your child into Pokémons and also to get him to read. Pokémon is short for Pocket Monsters, it is a franchise owned by The Pokémon Company as a consortium between three gaming giants namely Nintendo, Game Freak and Creatures. This exciting world is based on fictional characters called Pokémons which are caught and trained by humans to fight for sport. The humans are called Pokémon trainers. The Pokémons have special abilities depending upon what type of Pokémons they are. Pikachu is by far the most famous Pokémon and is considered the mascot of the Pokémon franchise. He is the favourite of Ash Ketchum, one of the popular human trainers. The Pokémons originally released as a video game have been adapted into animation series, Television series and toys and merchandise. 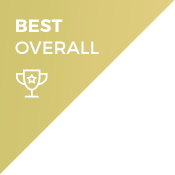 This stands as a testimony to its popularity across the world. The Pokémon Go, when it was released a few years ago only served to kick up a renewed interest in the world of Pokémons. Electronic Toys: Some Pokémon toys have electronic features to add that extra fun element into the toy. Such as LED light, sound etc. Clothing: Pokémon themed clothing are a common sight everywhere and especially when a new series or games based on these characters is about to release. It’s an excellent opportunity to grab a nice T-shirt or a hat. Educational Toys: Some Pokémon toys apart from being just fun also help in cognitive development of your child and inculcate some life values in them. Many of the construction based toy sets help in the cognitive development of your child. Trading Cards: Trading cards are a big hit inside the Pokémon world and are usually based on the popular Pokémon characters. These cards are often classified into common, uncommon, rare, ultra rare and so on. Kids will have great fun playing and trading these cards with other trainers. In this crazy exciting world of Pokémons, with so much happening, one is likely to get lost. But with proper information you can make a good buying decision and give your child the best Pokémon toys and have great fun yourselves. 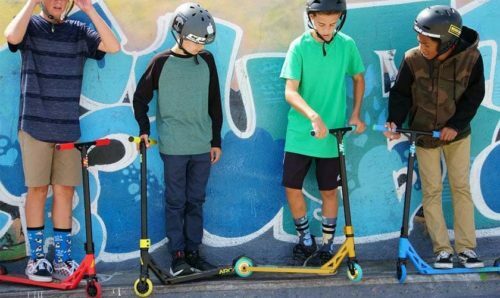 When buying the toys you should ensure that they are age appropriate and suitable and safe for your child. As a parent, you should also take into consideration what value is the Pokémon toy inculcating in the child. Finally, you should decide what exactly are you looking for? Is it toys, clothes, showpieces or some utility toy? This will simplify things for you.